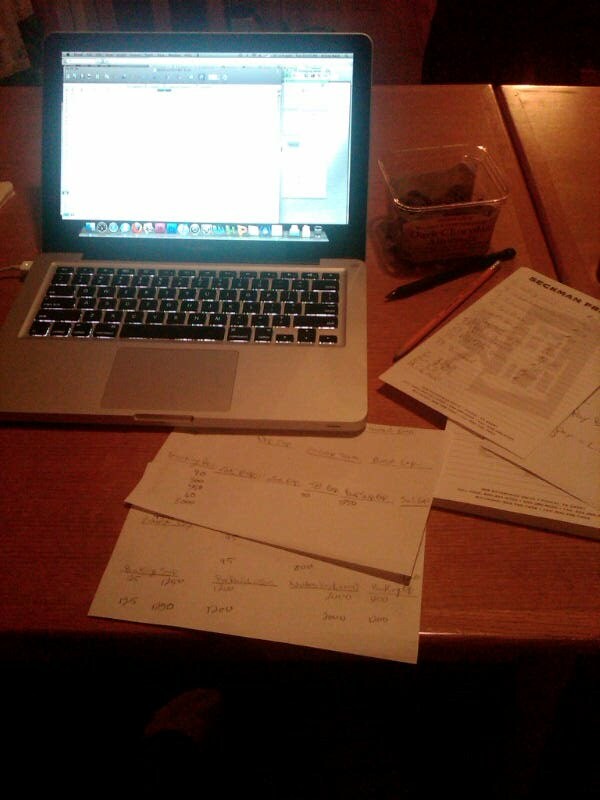 This is what I spent my evening doing… Accounting. Thank you to my roomie who literally sat next to me for 2 hours or more and walked me through how to figure this stuff out. What did I learn?… I need a notebook, chocolate, water, and lots of time… I do not think I will get all of this done in time to turn it in. But, thankfully, so far my professor has been incredibly helpful and patient while I try to figure this out. What I have begun to learn is that Accounting truly is like learning a new language!.. Gah! However, thanks to my roomie, I FINALLY feel like I am not drowning in these skribbles of notes. Ps. Thanks to my other roomie for the dark chocolate covered almonds!.. Life savers.. that’s who I live with. Pss. Thanks to my other roomie, and my other other roomie for making dinner! This entry was posted on January 26, 2011 by kpbback in Accounting, Homework, Roomies, School.